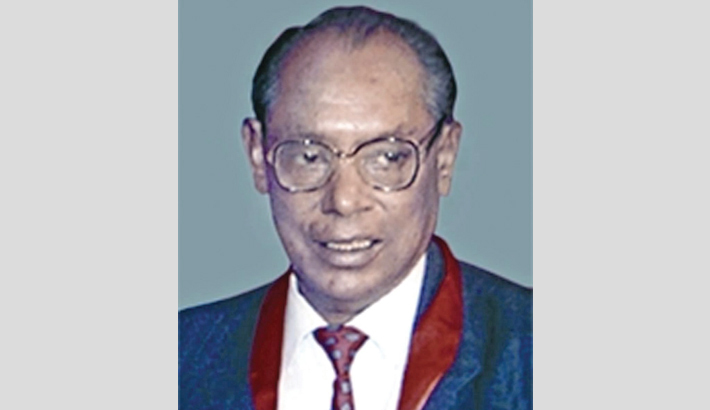 The 78th birthday of internationally reputed nuclear scientist and Prime Minster Sheikh Hasina’s husband Dr MA Wazed Miah will be observed today in a befitting manner. On February 16 in 1942, Wazed Miah affectionately called ‘Sudha Miah’ was born in a respectable Muslim family of Laldighi Fatehpur village under Pirganj upazila in Rangpur district, reports BSS. He breathed his last in Dhaka on May 9, 2009 and was buried at the family graveyard in his native village at Pirganj. Different political and socio-cultural organisations have chalked out programmes in the capital city and Rangpur district in observance of his birthday. The programmes include placing of wreaths at the grave of Dr Wazed Miah, offering Fateha, milad mehfils and special munajats, distribution of food among the poor and distressed people and memorial discussions. A number of organisations have chalked out elaborate daylong programmes to celebrate the birthday of Dr Wazed in a befitting manner at Laldighee Fatehpur village as well as in Rangpur city. General Secretary of Dr Wazed Smriti Sangsad (DWSS) Saiful Islam Jahangir told BSS that the organisation arranged a two-day programme to mark the day on February 15 and 16. Drawing competitions, descent hand writing, poem recitation and patriotic song for the children and adolescents were arranged at 3 pm on the Town Hall premises in Rangpur city today.